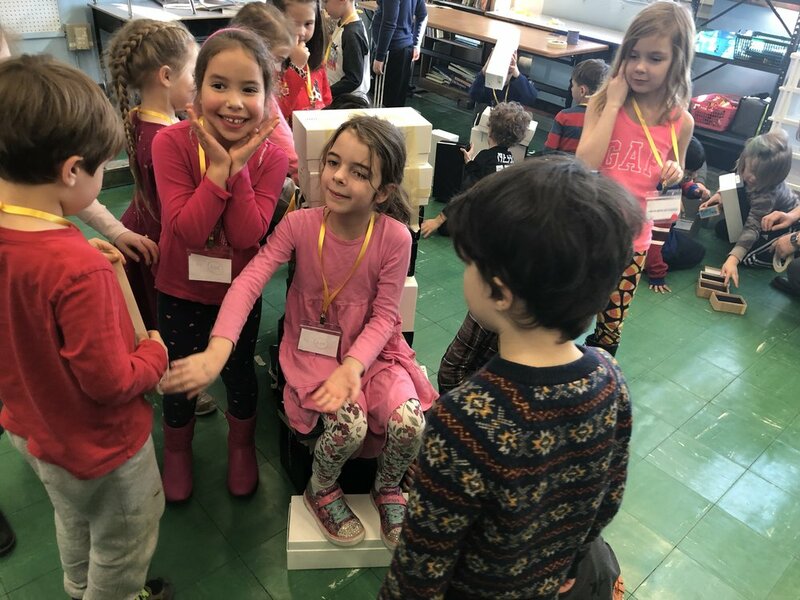 On Friday, at the second and third grade assembly we tested out the chairs that the classes created in the PS154 Makerspace. 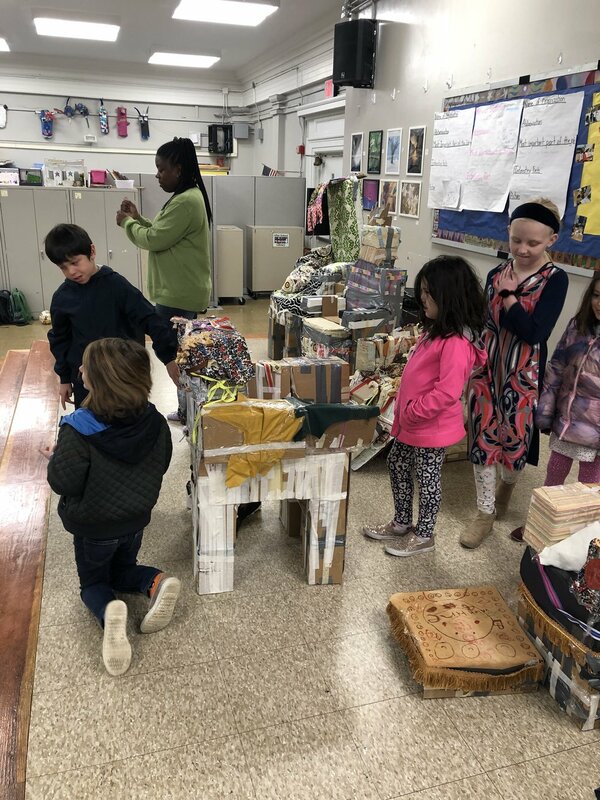 Over the past few weeks, students have designed and built chairs using cardboard, tape and fabric. They were challenged with building a piece of furniture strong enough to hold the like of Mr. Buckley and myself. The challenge was accepted and the chairs made it through unscathed! *(We will test the chair designs from the remaining grades very soon). 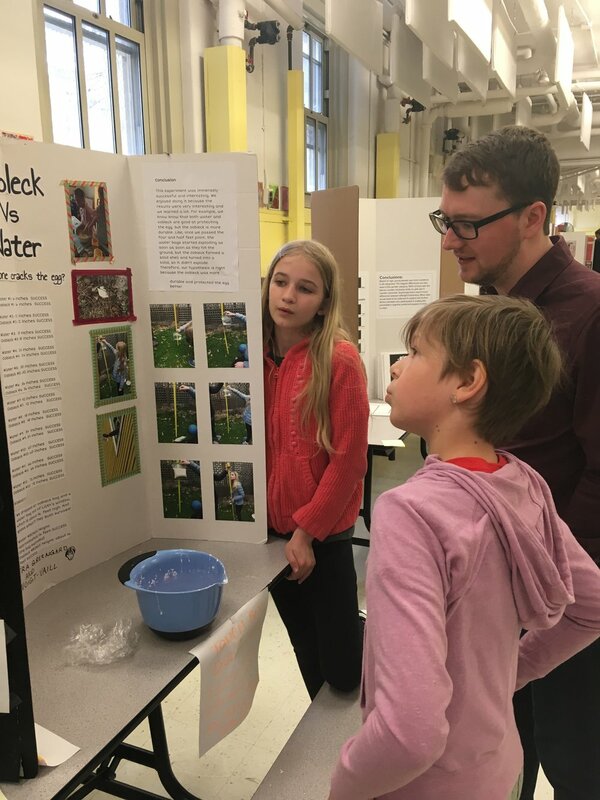 Our 2019 Science Fair was a great success! We had a wide range of project ideas that demonstrated the scope of our students’ scientific interests. Thank you to our parent volunteers and NYU post-grads for providing feedback to our student scientists. 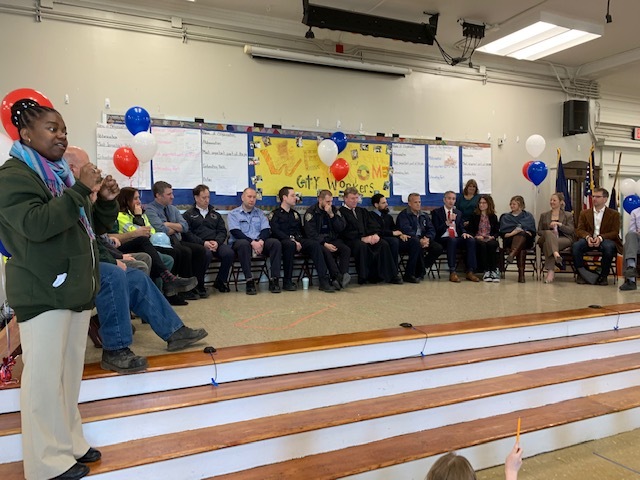 Last week, our second grade students participated in our annual “City Worker Day” event.” A variety of city professionals, from fire fighters to city planners, came to PS154 to share their experiences and to provide an opportunity for students to interview them. 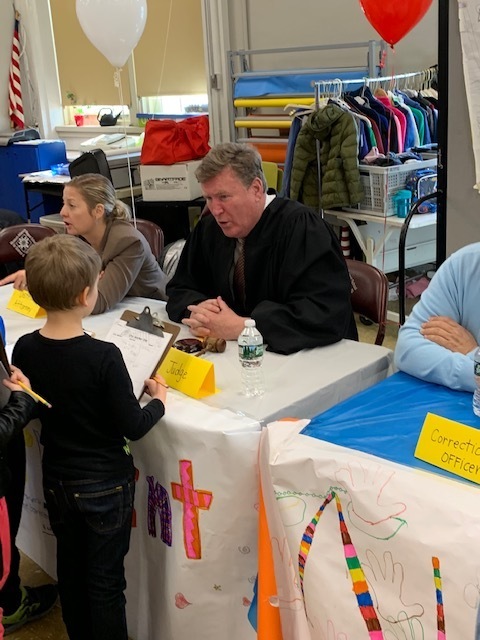 This event is part of the second grade social studies curriculum and is a great example of curricular integration, as it targets both ELA and social studies standards. 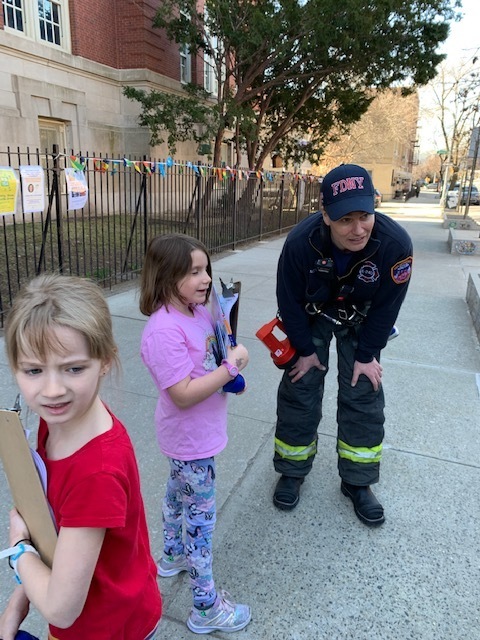 Our students researched different New York City professions and created projects based on their research, including specific questions to ask our guests. Our Makerspace is Open for Business! By now, most of our classes have had an opportunity to go to the new makerspace. Andrew and Monika, of Koko Open Source, are facilitating a program that has allowed our students to jump right into the design thinking process. The first challenge, for all grades, is to design a chair using various materials. The objective of our makerspace is to provide experiences that reinforce how we believe kids learn best. We want our students to develop collaborative skills in an immersive environment that encourages risk-taking, creativity and hands-on exploration. In other words, we want our students to be courageous, curious and caring. Our school’s Equity Team was tasked with selecting books for our students to read during Black History Month. 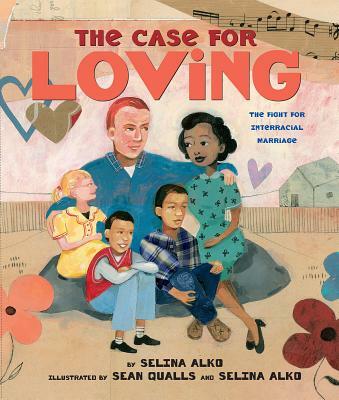 We chose The Case for Loving to expose our students to an important story that many have never heard. Love, perseverance and an understanding of the law are powerful weapons against hate. Our January book of the month is, All are Welcome, by Alexandra Penfold. We are lucky to have the Penfold family in our school community and even more fortunate to be able to share Alexandra’s work with our students. Earlier in the school year, Alexandra read All are Welcome to our first grade classrooms. 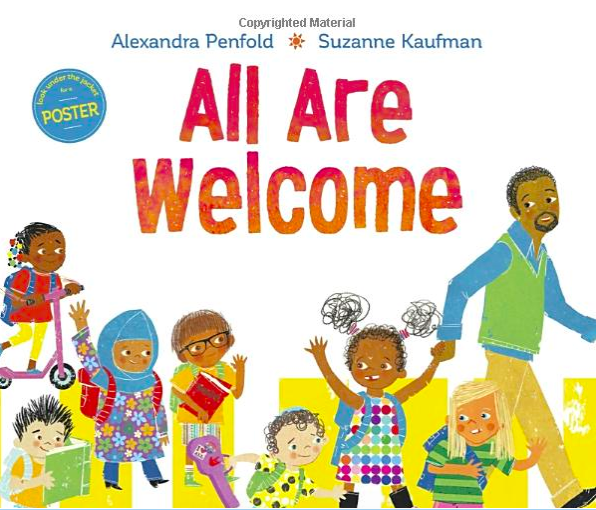 This book is so compelling and engaging that we wanted everyone to have a chance to use it as a mentor text and to help guide rich conversations about diversity and inclusivity. “Follow a group of children through a day in their school, where everyone is welcomed with open arms. A school where kids in patkas, hijabs, and yarmulkes play side-by-side with friends in baseball caps. A school where students grow and learn from each other's traditions and the whole community gathers to celebrate the Lunar New Year. I look forward to updating you on our progress this year at February’s “Coffee with the Principal” and at our next Family Friday on February, 8th! Grade level assemblies have begun! This week, we had our first monthly assemblies. Kindergarten and first grade had theirs on Thursday and the second and third graders had theirs today. Fourth and fifth grade are scheduled for next Friday. These assemblies provide us with a great opportunity for community building. At each event, we discuss the 3Cs (Courage, Curiosity and Caring) and have students perform or showcase their school work. This week, our performances included singing, dancing, musical instruments, jokes and magic. We even had an incredible science experiment. Ms. Graham’s class performed a skit, that they developed, based on our November diversity book, One by Kathryn Otoshi. Check out the video! We are continuing to embed Social-Emotional Learning (SEL) into our school day. Implementation of the Responsive Classroom program is ongoing. At this time, all of our classrooms participate in Responsive Classroom “Morning Meetings”, which are a vital component of the framework. As part of the Responsive Classroom program we have also begun to incorporate energizers for refocusing, quiet time after lunch and closing circles. Morning meetings are important because they establish a routine that promotes emotional safety and class community. Teachers determine the morning meeting focus based on their daily schedule and topics that the students bring up. Throughout the week, classes discuss school-wide behavior expectations framed around the character traits of being “Courageous, Curious and Caring.” We call this the 3Cs. By the end of the year, we will have created clear rules for the various locations around the school and a consistent language to teach and reinforce positive behavior. At the same time, we are supporting the emotional health and safety of all students through the city’s “Respect for All” initiative. This initiative aims to reduce incidents of bullying, harassment, intimidation and discrimination. 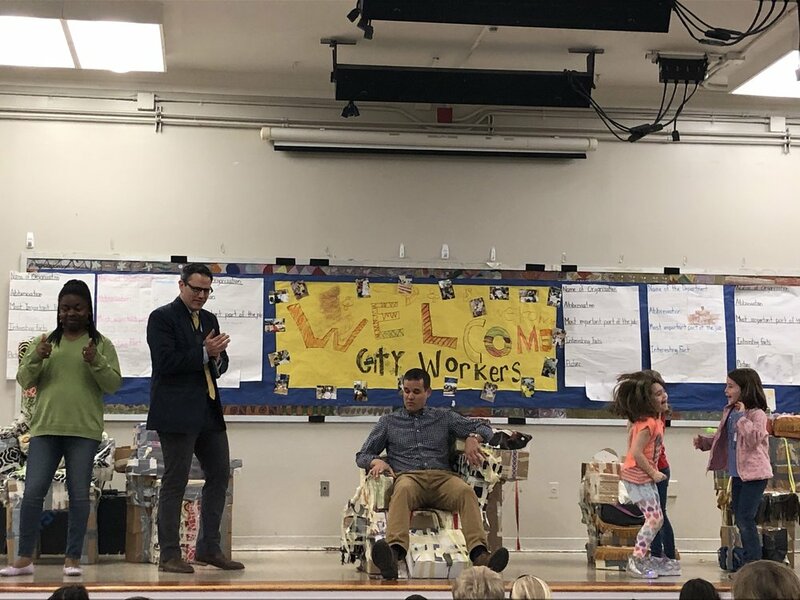 Mr. Buckley was recently trained as a “Respect for All” liaison, and the leadership team has spoken to every classroom room in order to introduce students to the initiative. School-wide assemblies touching upon these themes will begin next week and continue at points throughout the year. In addition, we are very excited to put together the school’s first Justice League Peer Mediation Team. 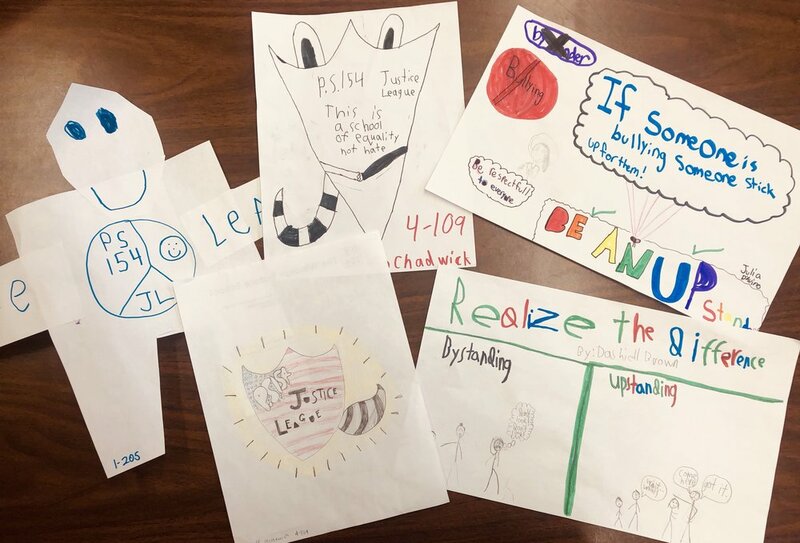 The students have been submitting logo designs for the team and are thrilled to be a part of this work. The process of selecting students will begin in the coming weeks. Our Student Equity team just held its second monthly meeting. The team consists of 8 fifth grade students who have volunteered to be a part of the district wide dialogue around race and equity in schools. The students have begun to share more about their own identities, and we have had meaningful debate about how equality and equity can be defined. Students will play an integral role in determining how are messaging will be shared throughout the school. The student Equity Team will work closely with the staff and parent Equity Team, which also meets monthly. This team has been working toward creating a vision around equity and developing an action plan to support teachers and students. In the classroom, our diversity initiative includes weekly lessons on topics ranging from bullying to race and identity.